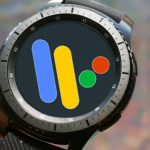 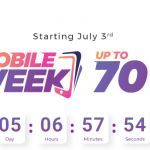 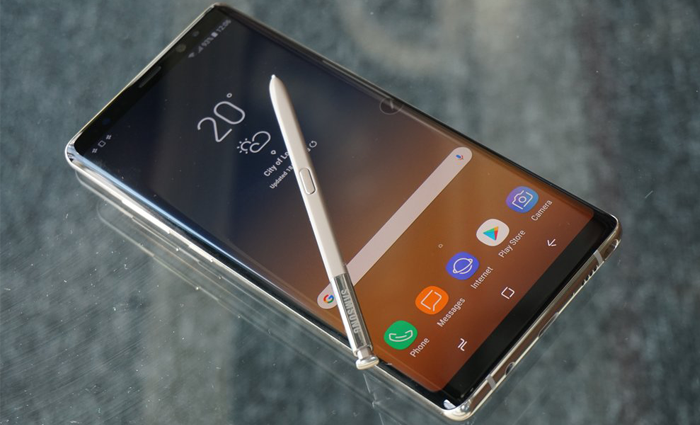 As the official unveiling event of the Samsung Galaxy Note9, which is to be held on August 9 draws near, images of the device are leaking pretty much every day, sometimes multiple times within any given 24-hour span. 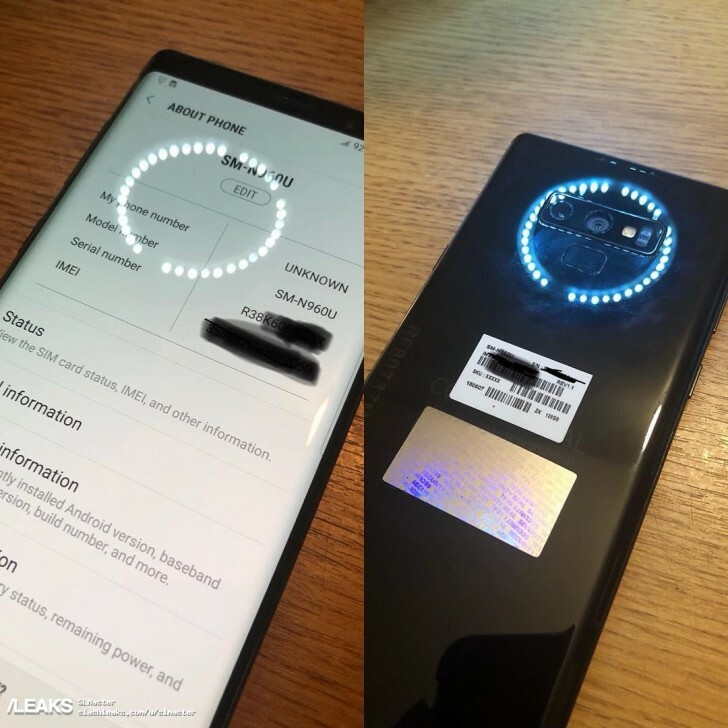 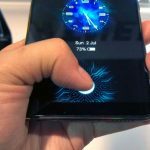 On that note, here are a couple of live images of the device – one showing the front with the screen on in the About section of Settings, and the other showcasing that back with the new position for the fingerprint sensor. 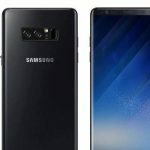 The pictures don’t really reveal anything new regarding the phone but they do serve as the umpteenth reconfirmation of details such as the model number (SM-N960) and the redesigned upper part of the back (compared to the Note8), which sees the fingerprint scanner sitting below the horizontal island that houses the two cameras, LED flash, and heart rate monitor. 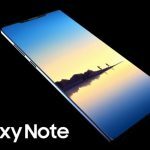 It also seems like the camera that’s in the middle of said island has variable aperture, which wouldn’t be surprising considering the fact that the Note9 is expected to don the exact same camera setup as the Galaxy S9+. 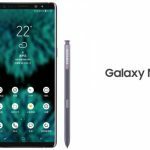 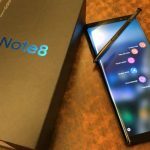 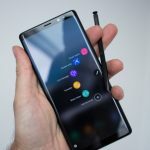 Add to that the identical chipset choices, and the only things that will truly set the Note9 apart from the already available S9+ are its S Pen stylus (with Bluetooth support this time around), marginally bigger screen, and the beefier battery – that could be as high as 4,000mAh according to past rumors.